I usually think salmon is best either raw, or smoked, as cooking it can easily dry it out. 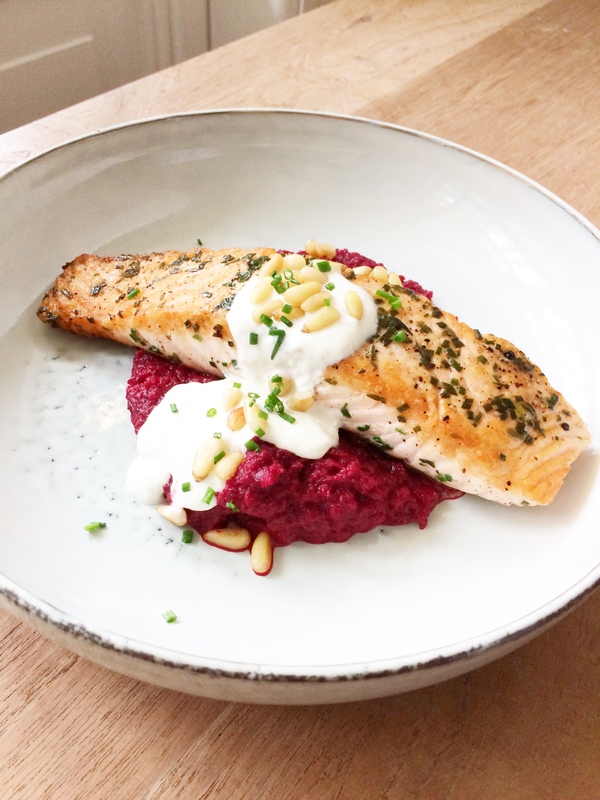 But combining salmon with a sweet and buttery beet puree, and a spicy horseradish cream has completely changed my mind about pan fried salmon. And the colors are beautiful! I prefer to use fresh horseradish as opposed to prepared horseradish, but this could work with prepared horseradish as well. Other than that, the ingredient list is simple, and both the beet puree and horseradish cream can be prepared ahead of time. This dish combines two of my favorite things – oysters and artichokes. My grandfather used to serve this as a starter for any special occasion, and I have never attempted to make it myself until now, since it is often challenging to make Grandad’s staples as good as I remember them (I have tried his Grits and Grillades several times now and they are not quite the same). 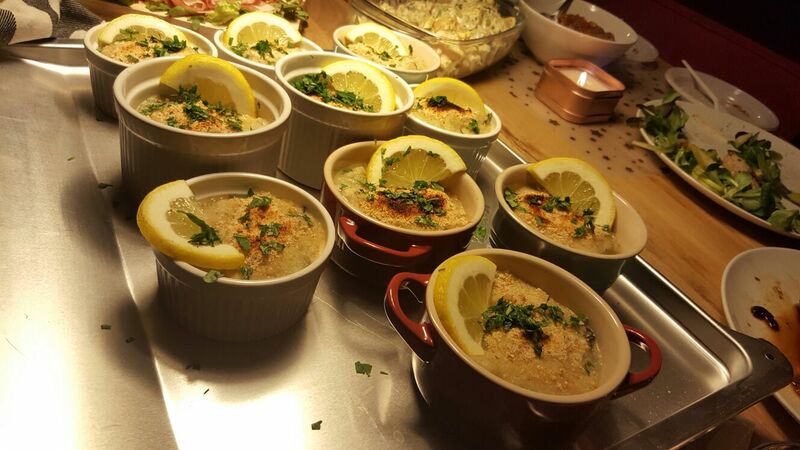 This dish is rich, but makes a perfect starter when served in small ramekins, especially in winter months. If you live and Louisiana and can buy pints of freshly shucked oysters, it makes this recipe a lot easier. I couldn’t find those in Amsterdam, so I got two dozen fresh oysters to shuck, and supplemented with another dozen large frozen oysters from the Asian grocer. The frozen oysters doubled as blocks of ice to keep the rest of the oysters chilled. The key to this recipe is getting as much oyster and artichoke flavor – so make sure to save all of the oyster juices, and get as much meat off of the artichokes as you can. It is best to make this recipe a day ahead of time, and finish in the oven right before serving. This recipe began with a little inspiration from another food blog, Cravings in Amsterdam, with the genius idea of cooking polenta not in water, but fresh pea stock. You can find the recipe here. The result was so flavorful, and I wanted to create a variation to pair with one of my new favorite proteins, pork cheeks. Pork cheeks lend themselves well to long braising, and the result is super tender and flavorful. Most butchers will have them frozen, but you may need to call ahead just to be sure. This recipe has four components, but don’t leave anything out! 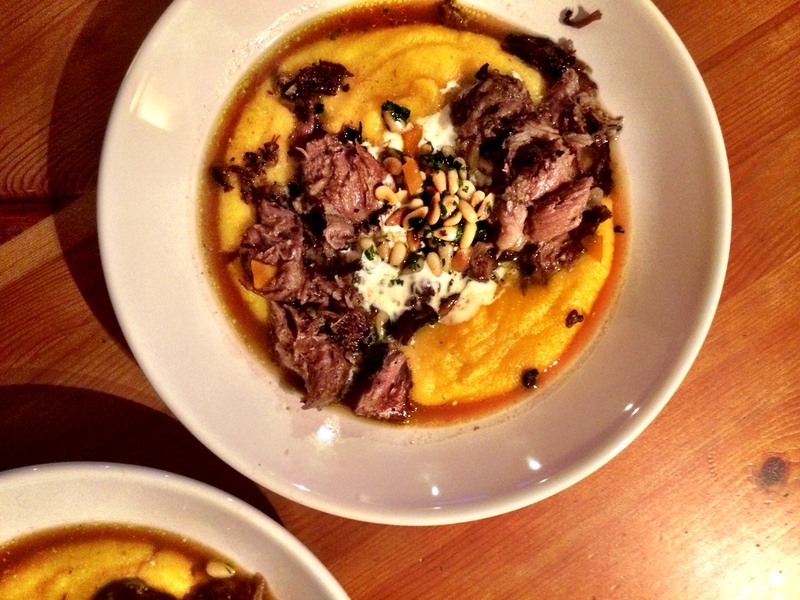 Each component has its purpose, with the sweet and spicy polenta providing a bed for the pork and soaking up the pork juices, the lemon cream providing a little acidity, and the pine nuts a little crunch. Last year, I moved into an apartment that didn’t have an oven. As an avid cook, that doesn’t sound like a great apartment choice, but the apartment’s location in the center of Amsterdam was worth the trade-off. I’ve been adjusting to life without an oven – doing a lot more soups, stews, and braises – but when I returned home to New Orleans last week, I woke up at my parent’s house the first morning with an urge to roast a big piece of meat using their not one, but two (!) ovens. That’s where this dish came about. It makes for a great presentation for a family-style meal, and the bottom layer of whipped feta is delicious when mixed with the juices from the lamb. The whipped goat cheese recipe comes directly from the New Orleans restaurant Domenica’s whole roasted cauliflower, another dish worth trying! I first had these at a beautiful Italian-inspired Thanksgiving dinner at a family friend’s home in Perugia, Italy, and these were about all I could think about for a few days! The whole meal was amazing – fennel braised in cream and parmesan, fresh puntarelle with an anchovy vinaigrette, roasted brussel sprouts with grapes, and of course, a giant roast turkey with a sage and sausage stuffing. When I returned home, I was determined to make these on my own. 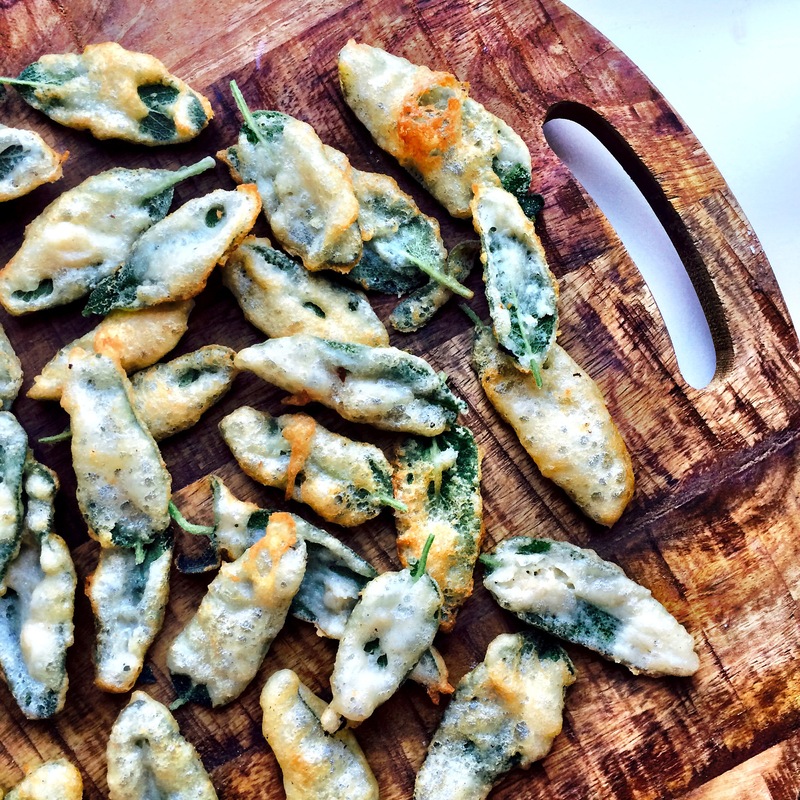 Even though they will always taste better in an Perugian villa with a glass of sparkling wine, these came pretty close! I used a tempura batter to get them extra crispy. These are fairly simple to make, with only a few ingredients, but the technique is important. Make sure your beer and flour are extra-cold when you are making your batter, and don’t let your oil get too hot or cold. And the sea salt at the end is crucial. A few years ago, I traveled to Copenhagen with my grandmother to visit my sister, who was studying abroad at the time. To welcome us, she and her roommate prepared a traditional Danish meal; the main dish was a roasted pork shoulder, which–her roommate informed us is usually served around Christmas. 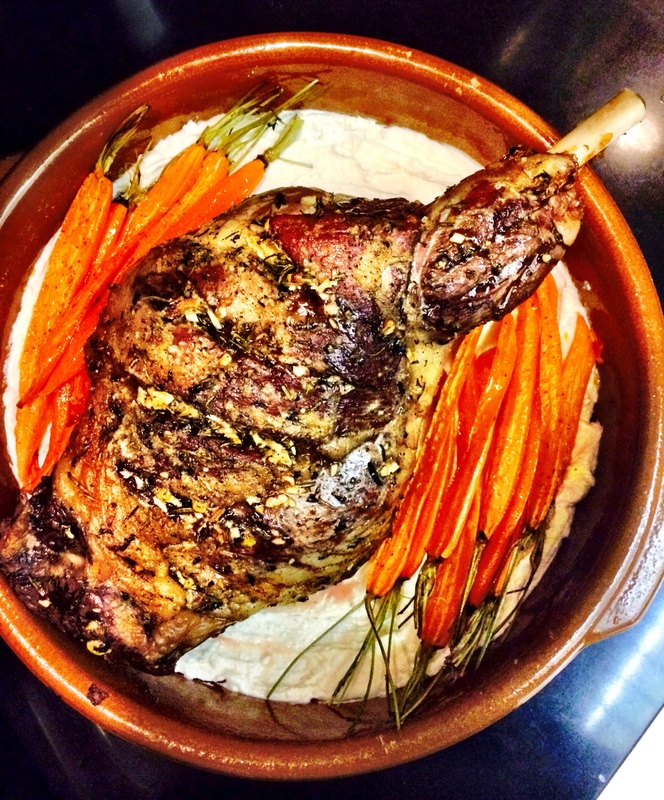 Recently, I invited a group of friends over for supper and thought of my time in Denmark and how warming it was to be presented with a roast. Pork shoulder, being an inexpensive cut, was the perfect main; I added some herbs and brightened the flavors with a lemon parsley sauce.